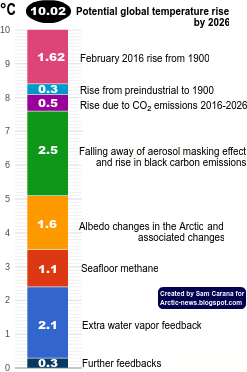 NASA has made available the monthly methane levels for March 2012. 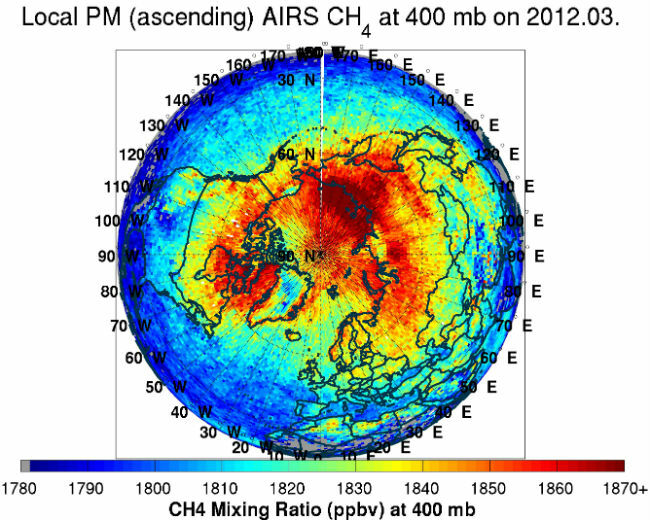 As the polar projection below shows, extremely high levels of methane are concentrated above the East Siberian Arctic Shelf (ESAS). 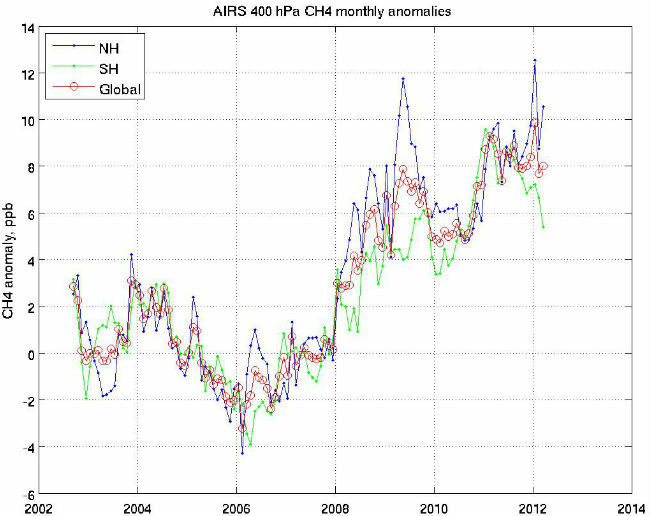 The image below further shows how the anomalies have increased over the years, especially on the Northern Hemisphere; note the wide gaps between anomalies on the Northern Hemisphere (blue) and the Southern Hemisphere (green) over the past few months. 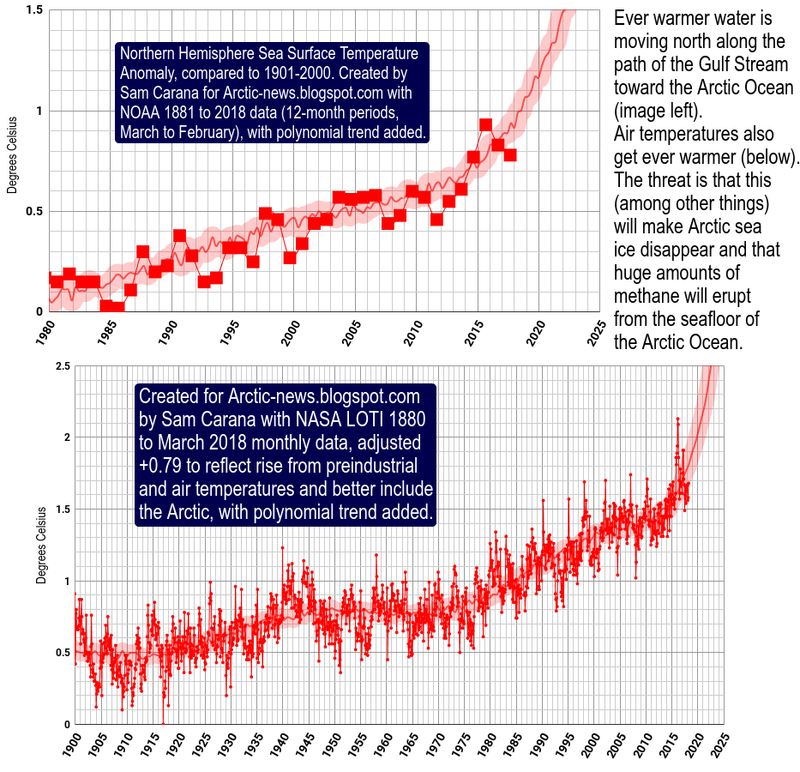 Will Arctic sea ice collapse in 2014?